At home or at work, Floortex protects like no other. Our range of Ecotex products are aimed at providing an environmentally sound floor protection solution. The Ecotex Revolutionmat is truly a revolution in floor protection. A totally new range of chair mats manufactured from 100 percent recycled post-consumer PET, or recycled plastic bottles! With the Ecotex product line, Floortex has turned your used drink bottles into extremely durable chair mats. Reduce your carbon footprint and protect your floors at the same time! The smooth back won't scratch your floor and the tinted finish works with any decor. Floortex provides an unrivaled range of products and offers the enduring quality to safeguard every floor, chair, doorway, table and desk, keeping high traffic areas cleaner and safer, for longer. 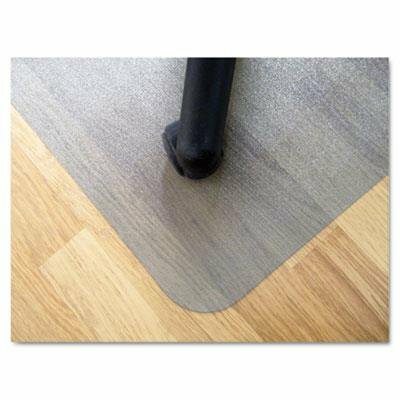 From our extensive range of chair mats for both carpets and hard floors to our indoor and outdoor entrance mats, from our desk protection products to our custom design mats, Floortex is designed to perfectly preserve the condition of every surface we cover.